Sylvester Stallone is an American actor widely known for his leading roles in Rocky, Rambo, and Creed. The New York born actor is greatly recognized for being one of the most popular celebrities in the world. But what many don’t know is that Stallone built his own rise to fame being the writer for some of his most successful films. Sylvester Stallone’s net worth as of 2019 is approximately $400 million at the age of 71 years old. Sylvester Stallone was on born in New York City, New York, USA on July 6th 1946. During the time of his birth Stallone was pulled out of his mother’s womb and suffered from a severed facial nerve; which has resulted in his droopy facial appearance and slurred speech. He spent the first few years of his life in foster care as his parents endured a troubled and unstable marriage. At the age of 5 he was reunited with his family and only a few years later his parents got a divorce. As a teenager Stallone attended a high school for troubled youths; and he later graduated and attended both The University of Miami and an American College in Switzerland to study drama. Before graduating from The University of Miami Stallone dropped out and moved to New York City to pursue his acting career. As he waited for his career to take off; Stallone was working as a theater usher, zoo keeper, and also played a few small parts in some low-profile films. Stallone’s career began to flourish when he wrote his screen-play about an aspiring boxer in Philadelphia-Rocky. He later found two producers, Irwin Winkler and Robert Chartoff that were willing to produce his film and let him star in it. The film was a huge success and it earned more than $117 million at the box office. Rocky parts 2-3 and Rambo parts 1-3 followed shortly after and all films exceeded expectations. Although, since then he did have a bit of a decline in his acting career with a few not-so-successful films in the mid-1990’s; but Stallone didn’t let his failures stop him from succeeding. In the recent years Stallone has made a comeback in his newer films such as The Expendables and Creed. Today he is recognized all over the world for delivering some of the most memorable performances in history. 1. The only way to be successful is to move forward and give it everything you’ve got. Sylvester Stallone succeeded in life because he persevered and overcame every obstacle he faced as a young man trying to pursue his acting career. He had a difficult childhood but he never let his past hold him back. 2. If you know what you want, then get up and go get it. All along Stallone knew what he wanted; from studying drama to dropping out of college to pursuing his career. Every decision that he made would in some way contribute to his acting career. When he wrote Rocky he knew that the only way that he would hand it over to any producers was if they let him play the lead role. He was determined to do something and he went out and did it because he believed he could and he knew he had potential. 3. Your failures don’t define you. Stallone didn’t get to where he is today by letting his failures stop him or drag him down. People didn’t believe that he could make a comeback like he did and he proved them wrong by not giving up. He persevered and didn’t stop until he was able to come back out on top. Sylvester Stallone is one of the most well known and successful American actors with a net worth at about $400 million. His accomplishments and wealth are inspirational to aspiring actors everywhere. 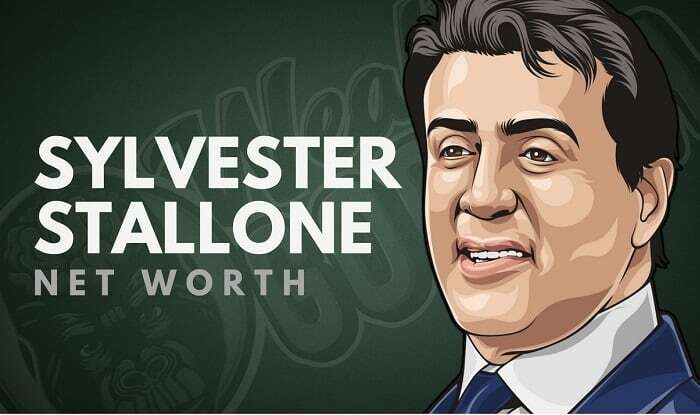 What do you think about Sylvester Stallone’s net worth? Leave a comment below. Jeff Hunter is the expert when it comes to hiring virtual assistants to grow your business. You can learn more about him at his website, and VA Staffer.